Set in the heart of the bustling financial center, minutes from shopping, cultural attractions and nightlife, Bristol Panama is a rare jewel where luxurious accommodations and sumptuous dining are blended to create uncompromising quality. Bristol Panama offers 125 luxurious guest rooms and 48 Executive Residences and Suites, all elegantly decorated with custom fabrics and prints by renowned Latin American and local designers. This hotel always delivers high quality beautifully furnished comfortable and classy rooms at a fair price. We have stayed at The Bristol twice and the staff is very helpful and courteous and the hotel is clean and modern with classic traditional touches. Dear Deborah W, Thank you for your great review! We truly appreciate your words about our staff and facilities. I am pleased to know that you find our furniture and rooms to your liking and your perfect description of our ambiance. We hope to host you for your next visit to Panama City. Safe travels! 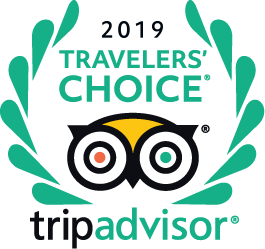 Dear Curious27651867749, Thank you for your excellent rating and for choosing us for your stay in Panama City! We are glad you had a great experience and we will be sure to revise the breakfast options to deliver a better service on this area. We hope to see you again in the future. Safe Travels! Dear Gretchen1960, Thank you for chosing us during your visit to Panama. We appreciate your review, we are glad to know that your overall experience was positive and you enjoyed our breakfast, but we are saddened to know that you experience with our bar service and maintenance were not up to par with everything else. We will be sure to revise your rooms and take care of them properly and pass your comments to our restaurant manager to improve. Safe travels! Good Afternoon Ships99, Thank you for writing us through TripAdvisor. We do not make these kind of tour frequently; however, it is not impossible to arrange. We have some contacts that could offer us a good deal for you to have a fantastic experience on board of a Catamaran at the beautiful beaches of the Atlantic Ocean. For this request I would highly appreciate if you give us some time, so we can investigate more and give you a precise answer. Meanwhile, how would you like to get to San Blas from the city? by plane, helicopter or car? We are looking forward to your answer. In case you have any other question no dot hesitate to contact the Concierge. "Some rooms had amazing views - others were non-existent. Make sure you check." "I stayed in two rooms between the 9 days. 709 and 811, I preferred the latest." "Better service in the housekeeping area." "We stayed on the 7th floor on the end overlooking the pool, no noises or issues." "go for higher floor rooms"